The guidelines aim to stop consumers being misled by marketing terms. THE FOOD SAFETY Authority of Ireland (FSAI) and the Advertising Standards Authority for Ireland (ASAI) have introduced new guidelines about food labelling. The rules were devised after consultation with the food industry and are aimed at ensuring consumers are not misled by the use of marketing terms on foods. In a joint statement released today, the FSAI and ASAI said: “Food businesses should aim to ensure marketing terms used on foods are compliant with relevant legislation and information contained in the guidance as soon as possible. Dr Pamela Byrne, CEO of the FSAI, said the guidance “goes a long way to ensuring that food marketing terms are not used incorrectly to mislead consumers”. Consumers have a right to be confident that the foods they purchase and eat are accurately and truthfully described on the label. Food businesses should also be confident that genuine descriptions of their food are not diluted in the marketplace by undefined marketing terms. People who feel the rules are being breached can complain via the ASAI’s website. 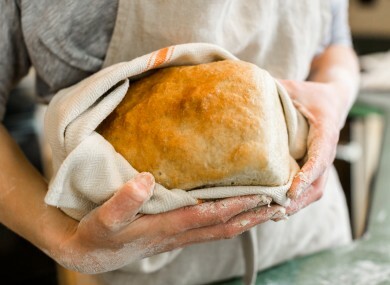 Email “New rules for businesses who want to call their food 'artisan' or 'natural' ”. Feedback on “New rules for businesses who want to call their food 'artisan' or 'natural' ”.